The 2018 season is entering the final quarter with September nearing by the hour. Labor Day weekend is upon us and of course we will see a number of Briggs & Stratton drivers at the famed Rock Island Grand Prix in Illinois this weekend. What we are also seeing is an increase in numbers at the local level thanks to the Briggs 206 powerplant and the supporting Briggs & Stratton Weekly Racing Series. The total number of drivers racing at the participating North America tracks have 1,837 in the Senior/Masters division with another 1,038 Junior drivers combined in the USA and Canada. Until now, the USA was leading the overall standings in the Senior/Masters division. Canada has taken over the top spot thanks to the performances of John Buzza. The Manitoba Karting Association driver now has the benchmark score of 223 to beat for the 2018 best score. Buzza is the Senior Briggs championship leader at the MKA program north of Winnipeg with six straight main event wins after starting the season with two runner-up results. MKA has two other drivers in the top-10 for Canada, with Buzza’s top challenger Matthew Greskiw holding the second spot in the Briggs WRS Canada, third overall. Morgan McDonald is the third from MKA, sitting ninth in the Canada standings. Calgary Kart Racing Club also has three drivers inside the top-10 of the Briggs WRS Canada standings. Connor Peet is the top driver from CKRC, sitting fourth in the standings. Peet is the current Briggs & Stratton Light championship leader at CKRC with five podiums in 10 races, including two victories. His top challenger at CKRC – John Kwong – is sixth in the standings. The third driver from CKRC is Alan Haggerty, the current championship leader in the Briggs & Stratton Heavy class. Haggerty, sitting seventh in the Canada standings, has four wins in 2018. 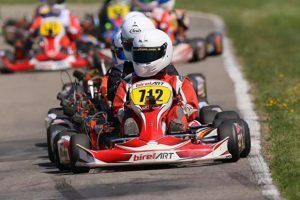 Edmonton & District Kart Racing Association and Mosport Kartways complete the Canada top-10 with two drivers each. EDKRA driver Angelo Amorim is up to third in the standings. Amorim is the top Masters driver in the Canada standings and leads the EDKRA standings thanks to five victories in 2018. Kevin Dowler is his top challenger at EDKRA and is sitting 10th in the Canadian standings. Mosport is represented by Darren Kearnan and Jordan Prior in the Canadian top-10. Kearnan is second in the MIKA Briggs Masters championship chase with three wins in 2018 while Prior is the MIKA Briggs Senior point leader over 75 different racers competing in the category this season. Last month’s overall #1 driver was Tim Roy. The Michiana Raceway Park driver has fallen to second overall, still leading the Briggs WRS USA standings with the same total as last month. Sitting second in the USA standings is Jamie Bradford from the Tennessee Karting Association that races at the NCM Motorsports Park in Bowling Green, Kentucky. Bradford is the championship leader in the Briggs 206 Spec VK category that has welcomed 30 different drivers on the year. Third takes us to Texas where former #1 Kaden Gray resides. Gray has four wins in the Spring and Summer programs at the North Texas Karters program. Also from the NTK program is Jeffery Dolian in tenth. 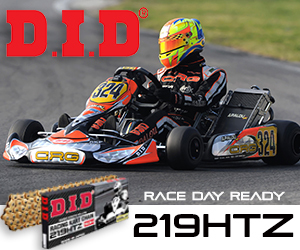 Dolian is coming off two wins at the USAC Karting Battle at the Brickyard in the two Margay Ignite divisions. Travis Roderick is the third driver from Texas, representing the Hill Country Kart Club program outside San Antonio. Roderick is the championship leader in the Briggs 206 Senior class, which has welcomed 39 drivers in 2018, with four victories on the season. 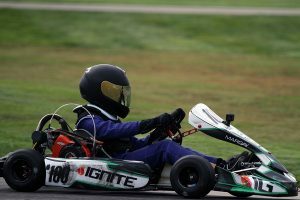 Blake Korth is the highest driver from the Kart Racers of America program at New Castle Motorsports Park. Korth is the Briggs 206 Senior championship leader with five wins on the year. John Ewing is the second KRA driver inside the top-10 of the USA standings in seventh. Ewing is sitting second in the KRA title chase for the Briggs 206 Masters class. Ohio Valley Karting Association is represented by Scott Keith (fifth) and Zack Keith (ninth). Scott and Zack are second and third in the OVKA Briggs 206 Senior standings behind Eric Fagan. Evan Stamer is the lone driver inside the top-10 from the Ignite Series at the Gateway Kartplex outside St. Louis. The top-10 in the Junior ranks is nearly split, with Team USA now holding just six spots and Team Canada with four. USA driver Hudson Tran remains at the top of the standings, improving his score from the Stockholm Karting Center with eight rounds now complete. The facility in Minnesota has three drivers total in the top-10 with Lukas Klimek and Kiara Stai. Leading Team Canada is James Altamirano from the Calgary Kart Racing Club. 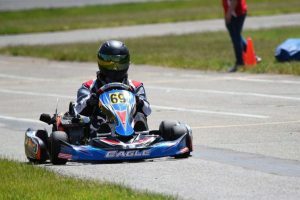 Altamirano is just three points off Tran in the overall standings, leading the CKRC championship standings in the Briggs & Stratton Junior class. CKRC has three in the top-10 with Enzo Sartor and Kiefer Peet, both top rivals of Altamirano. The fourth driver to represent Canada in the top-10 is Avery Miller from the Mosport Kartways. Miller is the championship leader at the Ontario program that has seen 56 different drivers compete on the year. Former #1 in the Briggs WRS standings Lanie Buice is third in the overall standings with eight rounds completed. Buice is the top Cadet driver at the Georgia Sprint Karting Association. Wisconsin, the home of Briggs & Stratton, is represented by two drivers from the Road America Kart Club in Elkhart Lake. Logan Perl is fifth in the Junior Briggs WRS standings as of now, leading the Briggs 206 Sportsman championship with four wins on the season. TJ Zimmerman is eighth in the standings, and is the current champions leader in the Briggs 206 Lite class at Road America.